Have you heard of Texas Caviar or Cowboy Caviar? I decided to try it over the long, rainy holiday weekend. It’s a dip, made with black-eyed peas, lots of other good stuff, and tossed in a garlic balsamic vinaigrette. At least that’s the version I made. 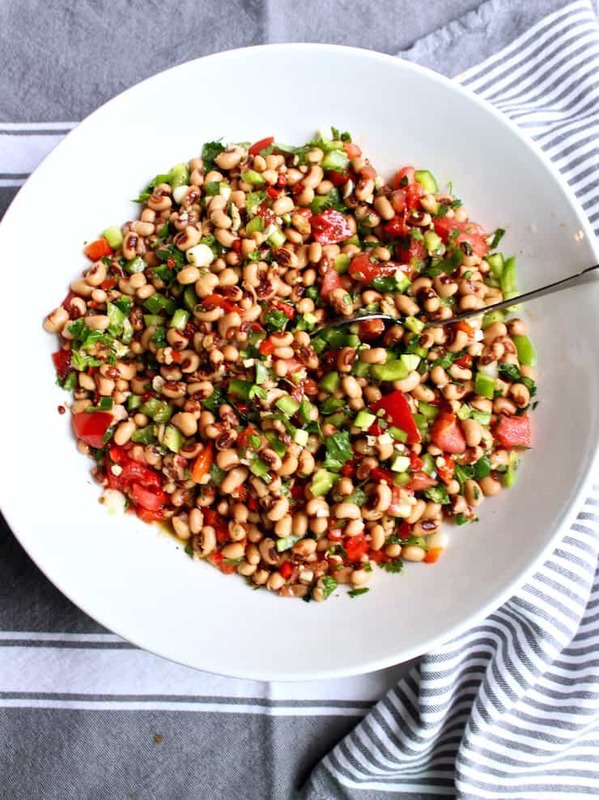 Some Texas Caviar recipes call for corn, some for a mix of different ingredients, but they all seem to have the same thing in mind. This stuff is addictive and perfect with tortilla chips. This is so simple to make, just chop everything up, put in a bowl and cover with balsamic dressing. The longer it sits, the better it gets. It makes a lot, we ate it four days with drinks for cocktail hour and never tired of it. I swear, each day it tasted even better. The version I made is from the How To Feed A Loon cooking blog. Kris and Wesley make a simple garlic balsamic vinaigrette for the dressing that I just loved. Very easy and tasted wonderful in this dish. If you want something a little different, super flavorful and fresh for game day or a crowd, this is it. Everyone loves it and dare I say, it’s pretty healthy to boot. 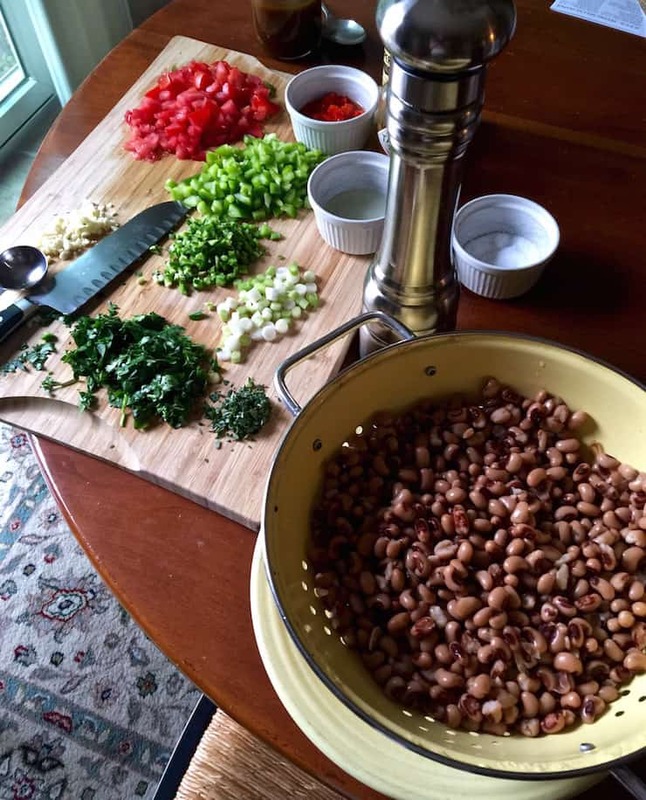 You don’t have to be a cowboy or from Texas to love Texas Caviar. 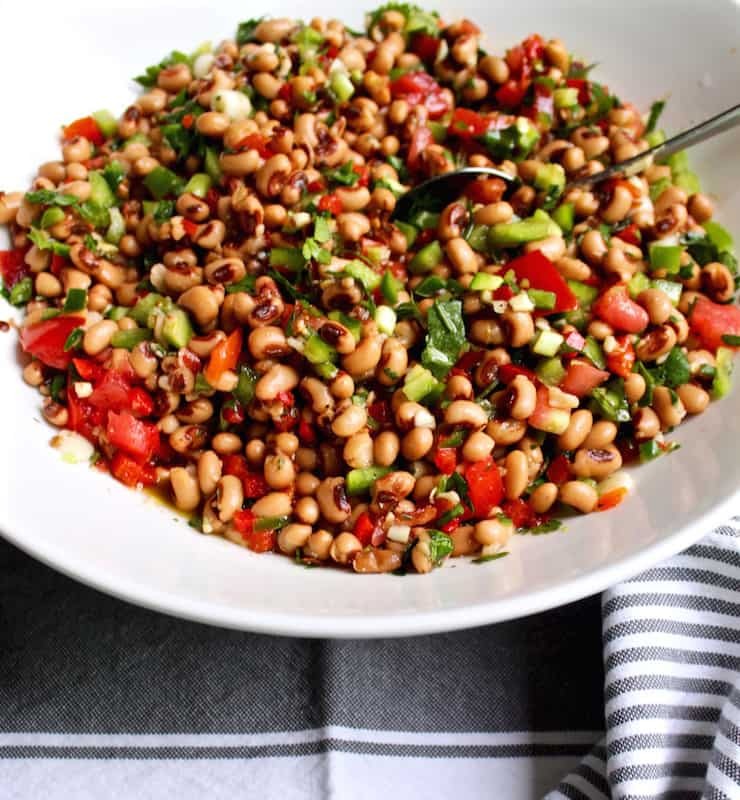 Texas Caviar, the iconic black-eyed pea dip popular in the southwest, also known as Cowboy Caviar. The longer it sits, the better it gets. Perfect with tortilla chips. In a large bowl combine the first 15 ingredients. Make the vinaigrette: smash the garlic clove with a fork and a little salt to make a paste, add to a mason jar. Add the balsamic and red wine vinegars and the olive oil. Screw the lid on tightly and shake vigorously to emulsify. Add 1½ cups viniagrette to the mixture in the bowl, toss gently to combine well. Cover and refrigerate for several hours. Serve with tortilla chips. I think I’d bathe in this stuff if I could. And no, I’m not kidding at all! This looks absolutely delicious! It’s so good! 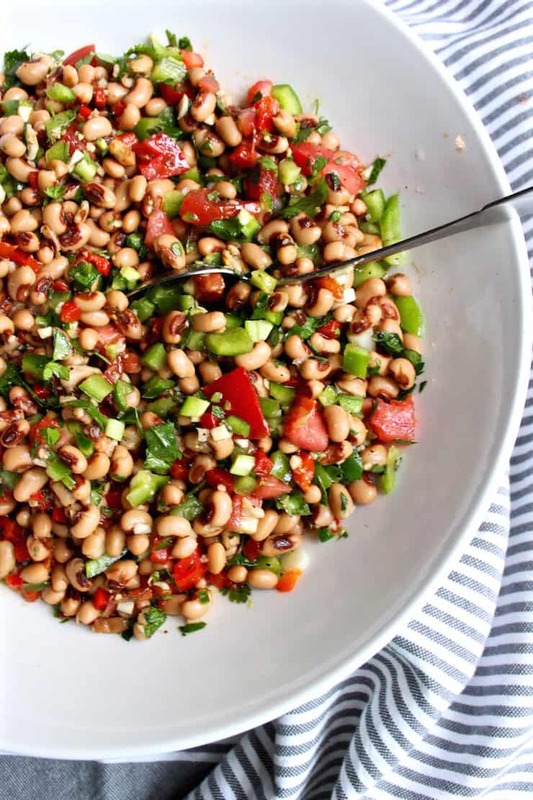 Those black-eyed peas are so creamy and dreamy, and all that other good stuff ~ addictive! I’m going to have to try your version. It looks delicious. I like back eyed peas, but I must have them at New Years. In the south, if you don’t have them you are gambling with next year’s luck! Superstition? Of course, but why gamble? My mother serves them with a (boiled) dime. The person who gets the dime gets extra good luck in the new year. I love it! May have to make that a tradition here, too. Also, your mom is sending me her oatmeal cookie recipe and something else. My mom is too excited to see it in this blog. Those two are too funny! This goes on my to do list! Thanks!